You will also need a baking tray suitable for the wood oven. Clean and chop the livers. Chop the bacon and chorizo. Chop the onions, garlic and apples and put the pieces onto the baking tray. Fry in the oven until soft. Add the meat and brown off in the oven. Pour in the wine and simmer for one minute. Add the marsala/sherry and simmer for one minute. It may be necessary to cover with foil, to slow the cooking process at this stage. Add all herbs and spices, salt and pepper and stir well. Put the baking tray in the oven for 30 minutes, covered with foil, if necessary. Remove from the oven and add honey, butter and brandy and stir. 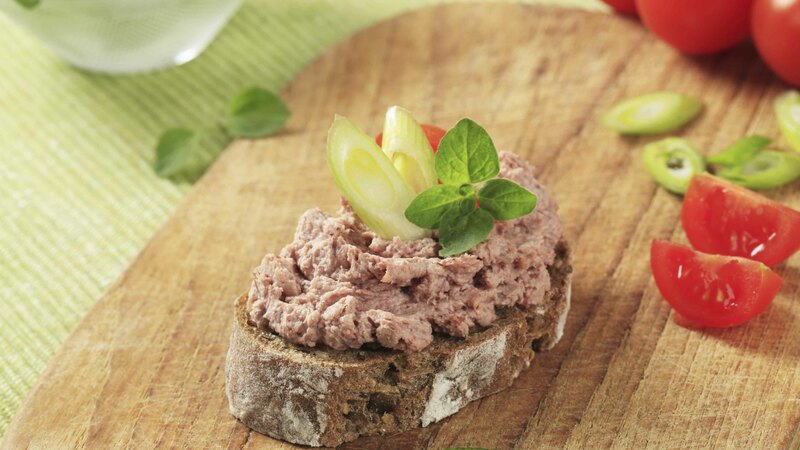 Blend to the consistency at which you prefer your paté (coarse or smooth), portion into ramekins. Allow to cool. You can keep this in the fridge for up to 2 weeks, or freeze.